Wiebke Schröder combines her love of adventure travel with a passion for photography. 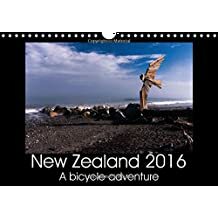 An enthusiastic cyclist, she has traveled the world with two wheels and a heavy backpack, stopping along the way to aim her lens and preserve the moment. Her highly detailed images preserve the moment with candor and clarity. 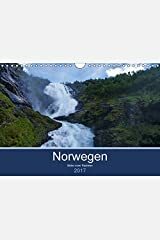 You can find her photos as well as previews of all pages of her calendars at www.lilleulven.com. 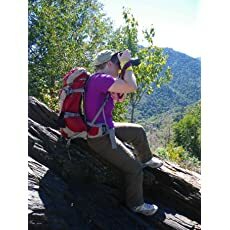 You can find the stories of her travels - including a selection of her photos - on her new travel blog at blog.lilleulven.com. (Wednesday, July 16th 2014) Today’s plans included visiting the Vikingeskib Museet (Vikingship Museum) in Roskilde, but since that did not open before 10 a.m., we were able to sleep a little longer and have a rather long breakfast before we started the day. (Tuesday, July 15th 2014) Today we woke up to a sunny day — after two days of gray and rainy weather it was just about time, as neither of us had fancied starting the bike ride in Denmark on a rainy day. In the last article of this series we looked into how the aperture was defined and how it influenced the depth of field. Today we will look into how the aperture, together with the shutter speed and the ISO, helps you to get the right exposure for your photo. (Monday, July 14th 2014) Our plans for the day were easy, all we wanted to do was some sightseeing in Copenhagen before we would get back onto our bikes the next day. Unfortunately the weather was again not on our side, so that we borrowed some umbrellas from the hotel for our tour through town. (Sunday, July 13th 2014) When we woke up the weather had unfortunately not changed for the better, so our plans for having a sightseeing tour through town before crossing the Öresund and riding our bikes back to Copenhagen got destroyed. Neither of us fancied riding in the rain. This is from Franz Joseph Glacier on the South Island of New Zealand, which I was able to visit by helicopter. (Thursday, July 10th 2014 — Friday, July 11th 2014) We had spent a couple of days in Oslo, resting and preparing for the second part of our bike ride, which would lead us mostly through Denmark, but include a day’s trip to Sweden as well. This time Solo decided to rather pay for hotels than to take his tent with us, as this would allow us to travel with a little less luggage on our bikes. This is going to be the last post on this blog for 2016, before we continue the Scandinavian Adventure here in 2017. 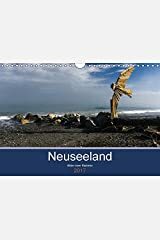 Thank you all for visiting my blog this past year. And I hope to see you here again when the Scandinavian Adventure continues. (Sunday, July 6th 2014 — Monday, July 7th 2014) Today we left the Lofoten behind us. But before that we had until the early afternoon to stroll around in Svolvær, before our ferry would take us back to Bodø. (Saturday, July 5th 2014) Today was our last day of cycling in Norway, but thankfully not our last day of bike riding as we will continue our ride in Denmark. For the first time on this tour I woke up earlier than Solo, so it was my turn to get us our morning cups of coffee and tea. The weather was as nice as the day before, so I was looking forward to another day on our bikes. 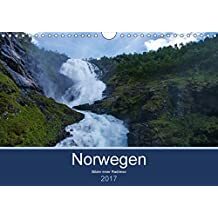 This month's calendar photo is from the Lofoten of the Narvtinden and the Sundstraumen. The story behind this photo has been published on November 25th 2016 in this blog post: Bodø - Ramberg. 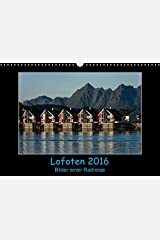 It is published in my A-formatted calendars of the Lofoten. 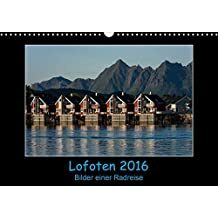 (Friday, July 4th 2014) This morning we left our hotel to get to the ferry, which would take us to Moskenes on Moskenesøya, one of the 7 Islands belonging to the Lofoten. We didn’t quite know where the ferry would leave Bodø, except of course it would leave from somewhere within the harbor and not from the railway station, so we planned to spend some time finding the right spot. (Thursday, July 3rd 2014) Unfortunately we woke up to a rather rainy gray sky in the morning. It wasn’t pouring down, but the clouds hung deep and some of my plans for the day had to be changed due to the weather. 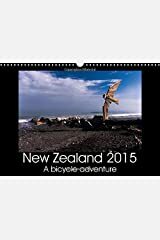 The calendar photo of this month is from the mountain Ruapehu in the Tongariro National Park in New Zealand. The name of the mountain means in English "Exploding hole" as it is actually an active stratovolcano of 2757 m (9177 feet) hight and is with that the highest point of the North Island (Te Ika-a-Māui) of New Zealand (Aotearoa). The area is also known from the Lord of the Rings movies as Mordor. (Wednesday, July 2nd 2014) For some reason, I woke up early this morning. It must have been around 4a.m. Solo noticed it and told me to go back to sleep since it was still early and not time to get ready for the day’s ride yet. I cannot say that I was reluctant to that, the moss below the tent had just made the ground soft enough to sleep comfortably and I knew I had some ride ahead of me. (Tuesday, July 1st 2014) We got up early today, well at least early for me, but that meant that after breakfast — also called a cup of tea, or coffee in Solo’s case, as we had nothing left to eat except for disgusting protein bars — we still had about an hour left before we would have to make our way back to the railway station to catch the train toward Mo i Rana. 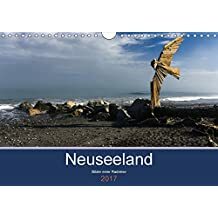 This month's calendar photo is of the city of Ålesund on the Norwegian coast. The photo is taken from the Hurtigruten boat, while anchoring before our departure to Molde. Ålesund is known for its Art nouveau architecture in the city's center - as the city had to be rebuilt after a great fire in the early 1900s. The story behind this photo has been published in this article: Florø - Molde on August 5th 2016. (Monday, June 30th 2014) We woke up to a bright blue sky, so the weather had improved significantly since yesterday afternoon. Just the right weather to go on a ride.